Immigration Law is a convoluted, murky jumble. Only good navigators will get you through it. 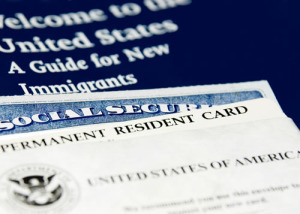 Skilled, responsible immigration attorneys can clearly explain how the law affects your case. If they can’t explain it, they probably don’t understand it themselves. Immigration law consists of lots of “ingredients”: statutes, regulations, policy memos, agency publications, administrative appeal decisions, federal caselaw, the current political climate, even agency policy manuals. Knowing all these ingredients requires lots of study. Character is very important too. No one needs a lawyer who thinks and behaves like a rattlesnake. There’s nothing casual about Immigration Law practice. A lawyer’s commitment to his profession ultimately determines what becomes of people’s lives, their hopes, and their family’s well being. A casual regard for law practice does a lot of harm. I can only promise you this: I’ll listen to you carefully, do my best to understand your difficulties, and treat you with respect. If it’s possible, I’ll help you solve your legal problem. If it isn’t possible, I’ll tell you that too. Usually there is a solution somewhere. There is usually always something we can do. But sometimes there isn’t. Some cases are simply unwinnable. I can tell you what your chances are, and what my opinion is. But no one can guarantee a favorable outcome. Be very wary of anyone who does. I can only guarantee that I won’t play games with your life or your trust. Ask some of these questions when you consider hiring an immigration lawyer. When you do, you’ll intuitively understand what you need to understand. Good lawyers happily answer questions. How many hours per week do you study in this field? What’s the last Federal Appellate immigration case you’ve read (not skimmed)? Do you agree with Silva-Trevino being overturned? Why? Which Supreme Court Justice is the best writer? Why? Is lawyering a business? Why? What duties do lawyers owe clients? (Make them tell you. Don’t let them hand you a “Client’s Rights” sheet – that’s rubbish). What’s the most valuable trait a lawyer can possess? Why? What’s the most harmful trait a lawyer can possess? Why? Proper fees allow me to spend all the time I need to spend on your case. “Cheap” lawyers get whatever money they can and wing it. That’s not good. When you hire a cheap lawyer and they do a lousy job, bad things happen. Your case usually gets ruined. Your life might then be ruined. Do you want that? I need plenty of resources to do your case. The law – the Immigration and Nationality Act – is a resource. So is the “case law” that judges create. Federal regulations are a resource, and so are interagency memos and advisories. Voluminous law books explaining different areas of immigration law are resources. A legal fee – money – is just another resource. Call and talk to me, or come in and see me. You decide if I’m just interested in taking your money . . . Or if I’m sincerely interested in helping you. Please let me know - I will get right back to you.